Ricky Martin has managed to record his 37th appearance in the Top 10 of the Latin Pop Songs chart. He’s managed the feat with his latest song ‘Fiebre’ which features Wisin & Yandel. The song has now been on the chart for three weeks, as it climbed six places from No. 15 to land at No. 9. According to Nielsen Music, the track experienced a 23 percent increase in airtime in the week that ended on March the 11th. Martin gave a live performance of the song at the Emirates Airline Dubai Jazz Festival, before releasing it on Feb. 23. 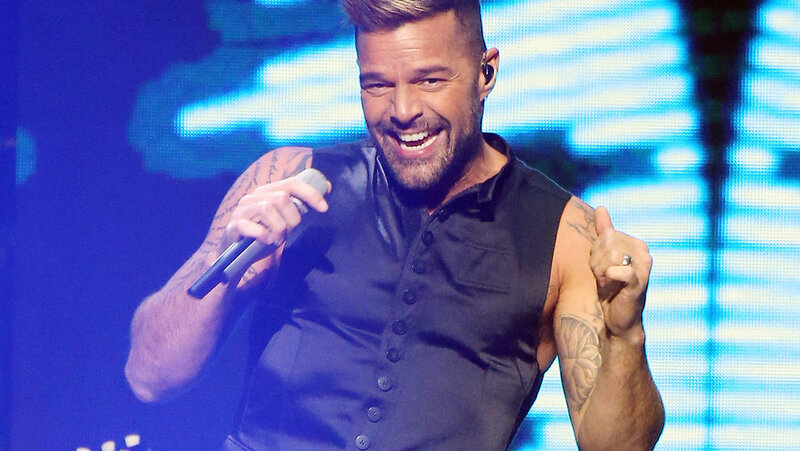 He has enjoyed a good run in the Latin Pop Songs Chart, as he has managed to get 48 tracks in the rankings, with 37 of them reaching the top 10. The Latin Pop Songs chart has been around for 23 years, and Martin has recorded the second most top 10s in it’s history, with only Enrique Iglesias ahead of him with 41 appearances. With ‘Fiebre’, Martin has managed his first entry in the chart in nearly two years. The last song to get there was ‘Vente Pa’ Ca’ in the chart dated Oct. 15, 2016, and which featured Maluma. That song was able to peak at No. 1 and stayed there for two weeks in the month of November. DJ and Producer Steve Aoki also managed a top 10, his first ever on a Latin airplay chart. He’s achieved that with the song ‘Azukita’ which jumped three places from No. 13, to finish at No. 10 in the Tropical Songs score. Aoki produced the song in collaboration with three others; Elvis Crespo, Play-N-Skillz and Daddy Yankee. The song recorded a 34 percent increase from last week, as it was played 2.2 million times by people during the current week, which concluded on March 11th. The song was Daddy Yankee’s 33rd to feature in the top 10, and he’s now tied with Gilberta Santa for the third-most top 10s on the chart. Both of them trail Victor Manuelle, who has the most with 54 appearances, and Marc Anthony who has achieved 45. This was also the 31st appearance for Crespo and the first ever for Play-N-Skillz. Meanwhile, in the Regional Mexican Songs chart, there are three new entries in the Top 10. The highest ranked of them is ‘Tiempo’ by Banda Los Recoditos. The song rose 6 places from No. 14 to finish at No. 8, while recording a 21 percent increase in audience for what is the artist’s 12th entry in the top 10. The song was followed closely by ‘Tu Postura’ by Banda Sinaloense MS de Sergio Lizzarga at No. 9. The song climbed 4 places from No. 13 thanks to a 12 percent audience increase and it is the 18th song by Lizzarga to feature in the top 10. Rounding up the top 10 was ‘Oye Mujer’ by Raymix. With 61 percent audience increase, the song climbed 9 places from No. 19 to finish this week at No. 10.